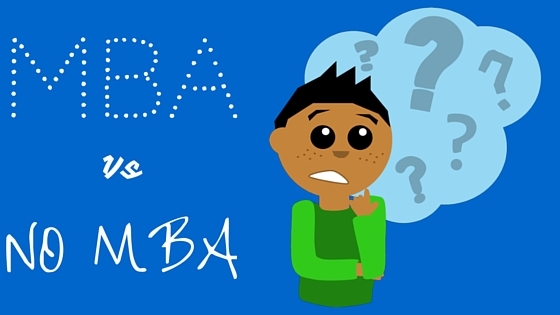 The increasing number of MBA graduates had left several questions in the mind of the prospect students that whether it will be fruitful to proceed in this stream. Though many different streams has been introduced in this stream including insurance, Finance, Human resource, Marketing, International business, Operational Management, Information Technology, Rural Management, Supply Chain Management etc but still the sense of insecurity has been developed among the candidates that whether it will be fruitful. Indirectly their concern is whether they will get employment or not after they finish with this course. This article will talk about the best career that you can have after you finish with MBA degree. Before any other knowledge you are force to think that what exactly had inspired you to get into this course. Is it the desire of more money or easy promotion or ease to change job or something else that have urged that crave in you to go for it? Whatever may be the reason you need to remember that in any regards you are going to be highly beneficial by it. This is the most common stream where a graduate plan their future. You need to have masters in security, investment and portfolio management to pocket the job in this field. Various financial organizations, bank, insurance companies, security firms and other related organization hire the services of these candidates so that they can benefit through their wise choice in investment. There are more openings for the qualified candidates in the Corporate Treasury, Business Operations etc by the branded firms. It is essential that the candidates who are willing to apply for the post under this stream should be having a degree in the similar stream and has complete focus in the field of technology. The importance of this field could be understood with the fact that without this stream no innovative or upgraded technology could be added to any organization. If you are truly aware about the term cost analysis than you must be aware that without the contribution of right technology. The growing demand of such candidates could be understood with this fact only. The competition is growing so as the demand. SBI Capital Markets and other such big names had kept this profile in high demand. The basic role played by these candidates is of underwriter as they act like an intermediary between investors and the organization who are in need of fund. The basic expectation that the companies have from the candidates are their prior knowledge about the need of their clientele. Security, investment and treasury management are always hunting for the aspirants to hire for similar jobs. The growing digital world in par with the competition could dictate the growth of data analytics in present world. Big data works like the biggest asset to any business field and this may be the reason that why several educational organization were forced to add this topic as a separate subject especially in MBA. You could expect your future in Fractal Analytics or similar big brands as their hunt for such aspirants never ends. Organizational issues are the toughest challenge that most of the companies are facing today. Almost all the big brands take the assistance of such MBA to tackle the internal issues of their organization. This is not the end. The scope for becoming an entrepreneur is always open along with other option so spread your wings and learns to fly with the most oblivious inspiring stream-MBA! Here are some more hottest career options after MBA in 2016. If you still have questions in mind, this article on entrepreneur will help you get answers for them.